Gain better insights to make smarter decisions with our sales performance software for wholesale distribution companies. 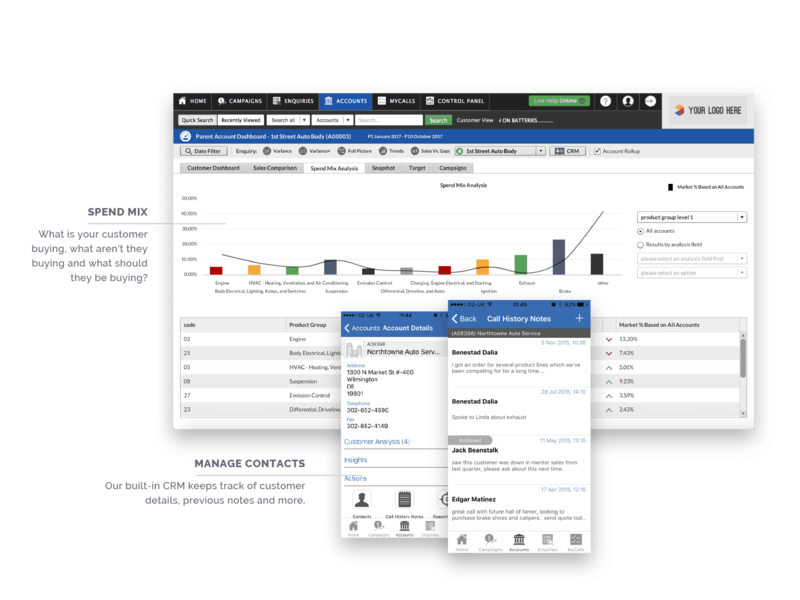 Our award-winning sales performance software delivers smarter selling to manufacturers, distributors and wholesalers creating a more complete picture of what’s really going on with your customers. With complete visibility into the inner workings of your business and customer base, you’ll have unmissable cross and up-selling opportunities on tap, fast insight into any changes in customer spend and truly delighted customers. Improve your sales performance with powerful customer insights that are instantly available to your sales team. Answer questions like: “Who has bought X but not Y this month?” and “What should this customer be buying from me?” in seconds. 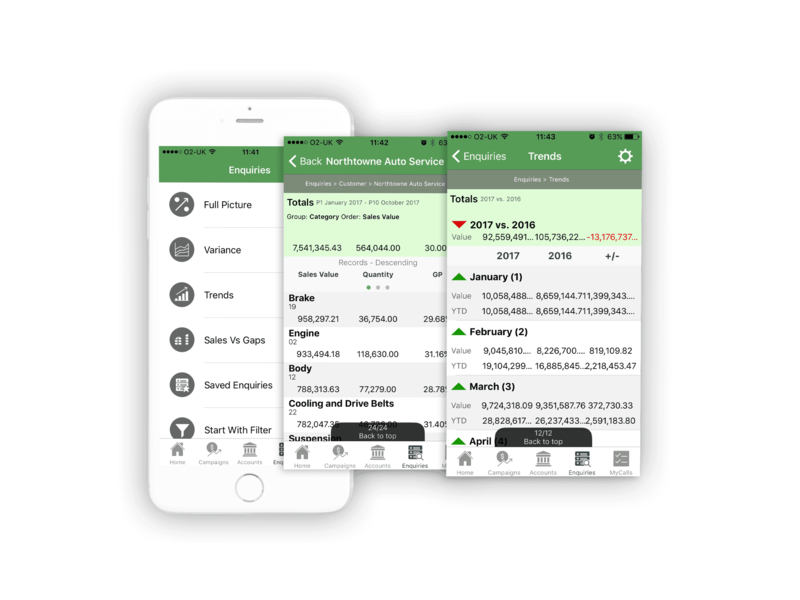 Never miss a sales opportunity again with our mobile sales analytics applications for iOS and Android. 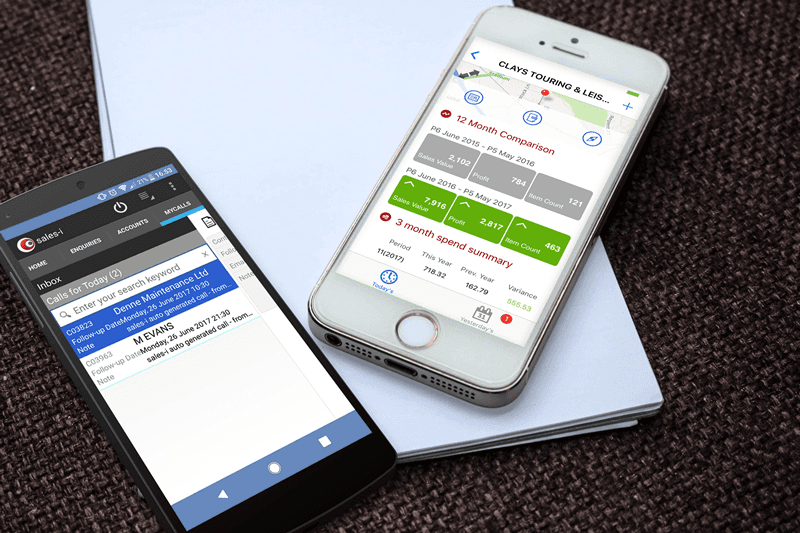 Putting the power back in your sales team’s hands, our mobile applications are available no matter where they find themselves – with or without a connection. Building high-value, bottom line boosting relationships is a breeze with our sales performance software. Calling your customers at the right times, for all the right reasons has never been easier. 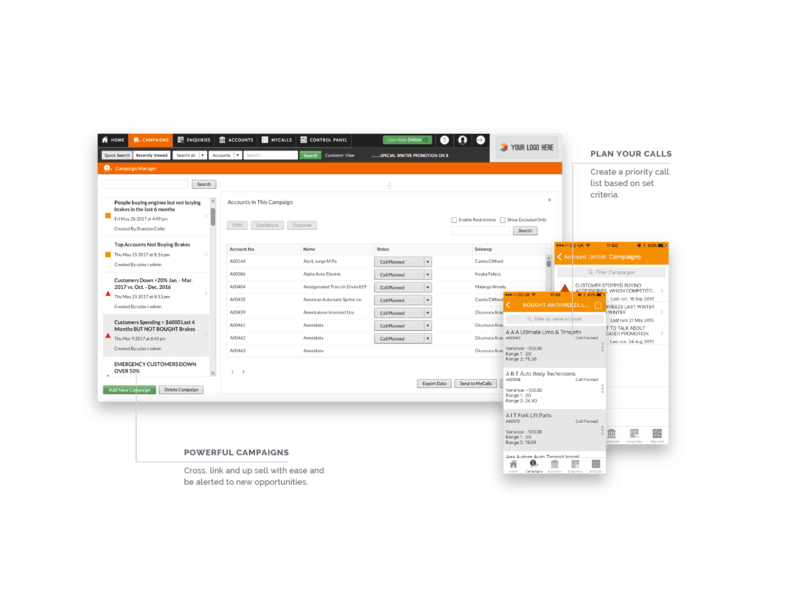 Easily manage customers and prospects from our built-in CRM. Already use a CRM? We can integrate sales-i with that too. Seamlessly update both your sales-i and Exchange accounts at once so that information is reflected in both systems. sales-i is built using Software-as-a-Service (SaaS) to give you a fast, flexible and cost-effective solution. We keep you and your data protected by using the latest data security processes and perform regular audit checks. View more ERP systems that we integrate with. Can’t see what you’re looking for? Get in touch. Simple. 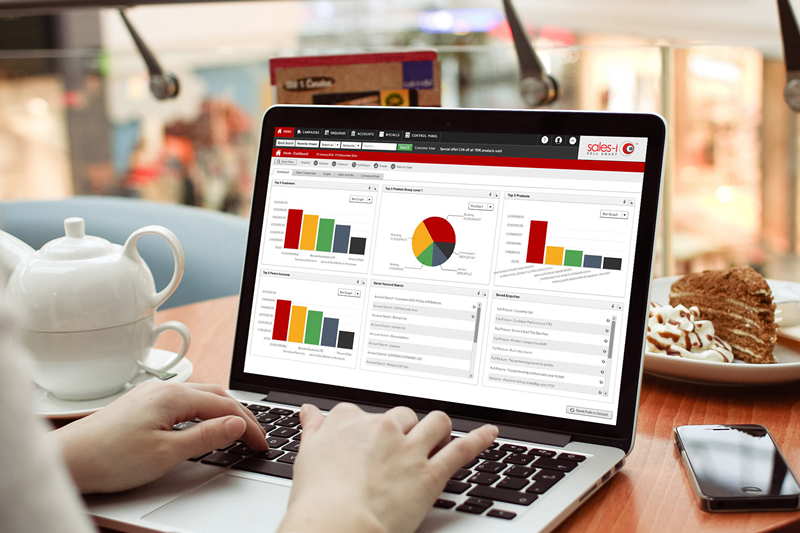 We analyze the past two years of your accounting data from your back office system. As dedicated customer insight software, sales-i intelligently trends, tracks and monitors your customers' buying behavior, alerting your sales team to every opportunity, and every competitive threat. All you need is an Internet connection. sales-i is built entirely on a Software-as-a-Service model (SaaS). Hosted entirely in the Cloud, any SaaS based solution means that you can access it anywhere, anytime from any Internet enabled device - be that a laptop, tablet or smartphone. It's simply a way of delivering software over the Internet, as a service. No hardware or software to buy, install, maintain or update – your service provider (that's us!) handles all this, so you always have easy access to your customer intelligence software. How is sales-i set up? After we extract your data from your current ERP system, we build you your very own secured data cube to house your data in sales-i. We then work with you to customize sales-i to meet the needs of your business. A spot of training from our sales-i gurus and you're on your way! Is my data secure once in sales-i? Of course, we wouldn’t have a business if we didn’t secure your data. We partner with Rackspace to host all of your data. Rackspace has military grade security levels and your data is locked down in a secure server, inaccessible by anyone outside of your organization. Will you be able to work with my back office system? Will it work on my smartphone or tablet? Absolutely. sales-i is available across every web-enabled mobile device. Can I use my existing CRM system with sales-i? sales-i has a comprehensive CRM system built in, designed specifically for wholesale distributors. 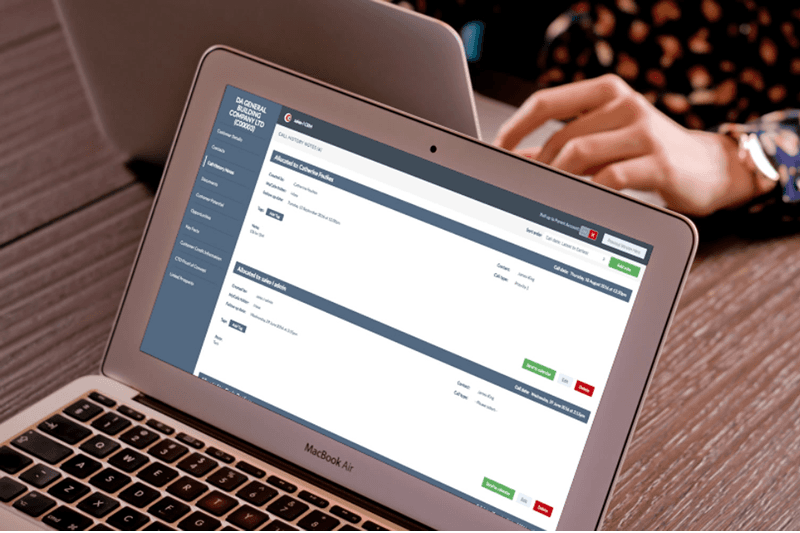 However, we understand that many businesses prefer to continue with their current system, which is why we can integrate our sales analytics module into a wide array of CRM systems like Salesforce and SugarCRM. How long does it take to have a live system? This ultimately depends upon your back office system, your processes, and the amount of data you would like to integrate. Generally speaking, an ‘average’ customer will be live within 40 days from signing an order form.